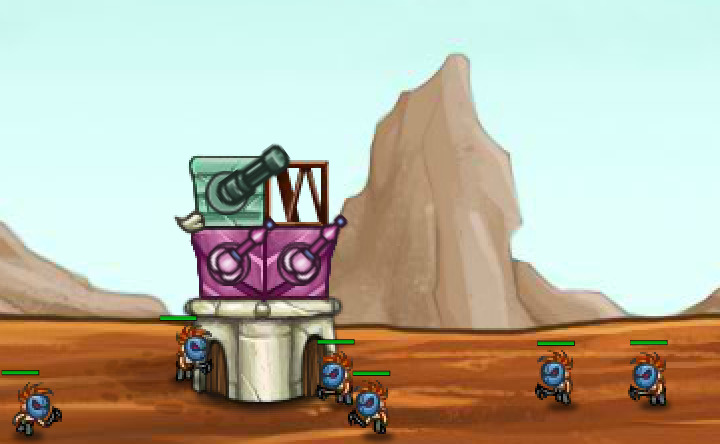 The great war has begin as you stepped on the Apocalyptic Tower, your enemy want to tear teh Tower on your watch ,so you have to build a defence on the limited budget ,use the mouth to control the direction of your guns ,and kill the beasts or other creature on your way before them reach to hurt your Tower ,you can also up grade your weapon or build your Tower during the fight with teh money you earmed by killing . all you need to do is click . You can play Apocalyptic Tower free online sports games at fogames. It has tags: Action,Defense,Strategy,Upgrade. It has 1768 total plays and has been rated 80.3% (6 like and 3 dislike), find the fun and happy day. If you want to play more sports games, we find some of the game: Crystallium Wars Tower Defense, Bubble Tanks Tower Defense, Pokemon Tower Defense and Turret Tower Attack. To play other games, go to the action games page, the defense games page, or just check out the new games or best games page. Play Apocalyptic Tower online games, Fun and Happy.